Though new to me, Chvad SB has been in action for over 20 years as a recording artist, scoring films, and a member of Controlled Bleeding. 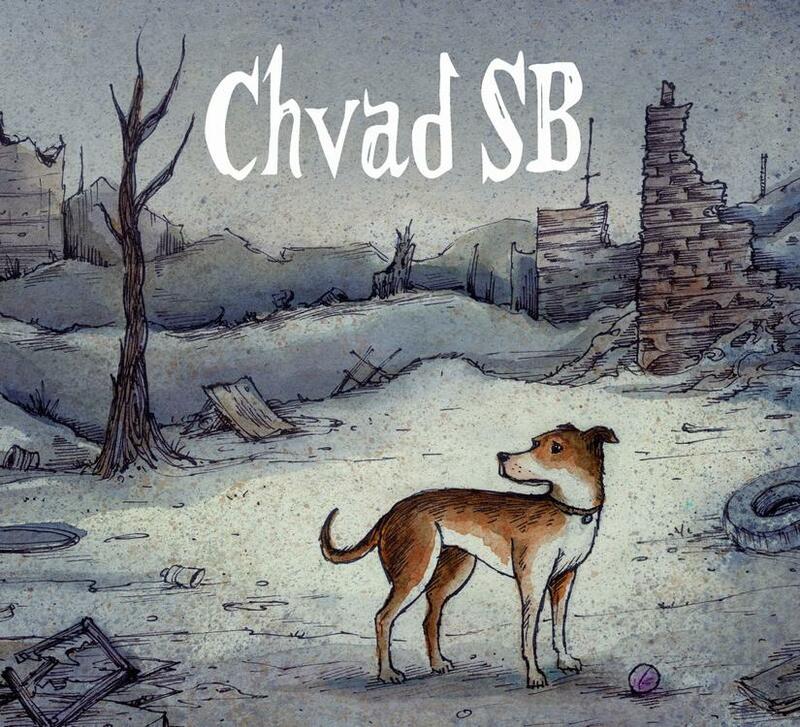 Chvad SB has a flair for bringing together experimental and pleasantly accessible sound elements to create hauntingly minimal yet strangely melodic, image inducing soundtracks for the mind. The opening piece, It Haunts Her, is all about sound, with its laser beam waves accompanied by sparse guitar notes. The sound waves rise and fall, phasing slowly in my brain as the guitar licks provide a drugged, trippy, melodic counterpoint to the minimal electronics. The ominous rumbling and electronic static on A Hair Before Sundown might as well be a horde of insects, though offset by the contrasting child’s xylophone and smatterings of percussion. The scorer of films is at work on tracks like The Dust Cloud Permeates. Haunting, cavernous atmospherics, freaky electronic effects and light guitar conjure up a multitude of possible scenes, the most prominent in my mind being a spacecraft cruising over the surface of a cold, seemingly barren alien planet (it’s always the sci-fi with me). The feeling is detached yet tense and suspenseful, painting a spaced out and often eerie panorama of cinematic sound. The spacey soundscapes on People Keep Asking And I Say You’re Well conjure up images of a busy urban street. Traffic is rushing back and forth, yet somehow I feel I’m like I’m sitting in the middle of it like some spectrally detached observer. A ghostly orchestral aura surrounds the everyday sounds of the city, punctuated by plinking sounds and sporadic guitar licks. Simultaneously haunting and surreal, this is one of my favorite tracks of the set. I like the combination of robotic patterns and melodic chamber ensemble on There Isn’t A Day That Goes By. And Crickets Were The Compass And The World Goes ‘Round feels like the soundtrack to a post-apocalyptic tale, with its minimal, slowly grinding crawl and darkly orchestral thrum. Listen to this when you’re feeling contemplative. Play it again and you’re guaranteed to hear something you missed the first time.